Flagship of the handcrafted, carved mahogany series of headphones, the Grado GS1000e 'Statement' is capable of delivering truly stunning sonic performances. 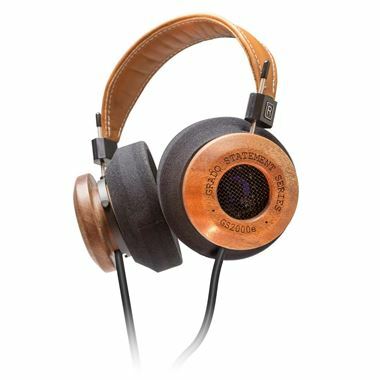 This superb headphone features; handcrafted, over-sized, mahogany earpieces made using an intricate curing process, which enables Grado to optimise the tonal quality. The GS1000e also uses upgraded 50mm dynamic transducers and a new 12 conductor cable design. This has clearly been accomplished and we believe the GS1000e to be one of the most comfortable headphones on the market today. Listen and enjoy!